THE ROUTES EXCLUSIVE TRACK PREMIERE! 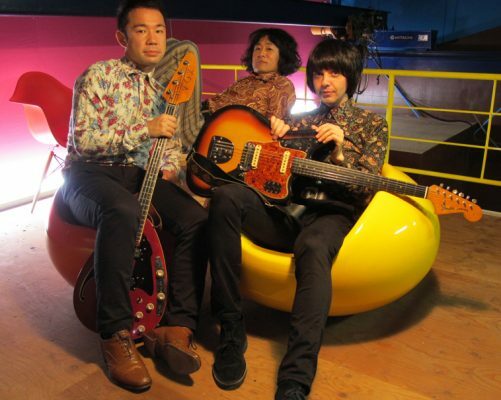 Japanese garage trio THE ROUTES are about to unleash their sixth album and are sharing a track exclusively with Vive Le Rock! ‘Dysphoria’ is taken from Dirty Needles And Pins, the band’s second album this year, following on from In This Perfect Hell. The enigmatic trio don’t give much away about themselves, other than that Chris Jack plays all the instruments apart from the drums, which are provided by Jonathan Hillhouse. Dirty Needles And Pins is set for release through Greenway Records on 17 November and is available to pre-order here. ‹ J.D. HANGOVER VIDEO EXCLUSIVE!